Community members gathered Nov. 5 to protest the planned closure of Alta Bates Summit Medical Center services, which would leave the community without emergency services from Richmond to Downtown Oakland. 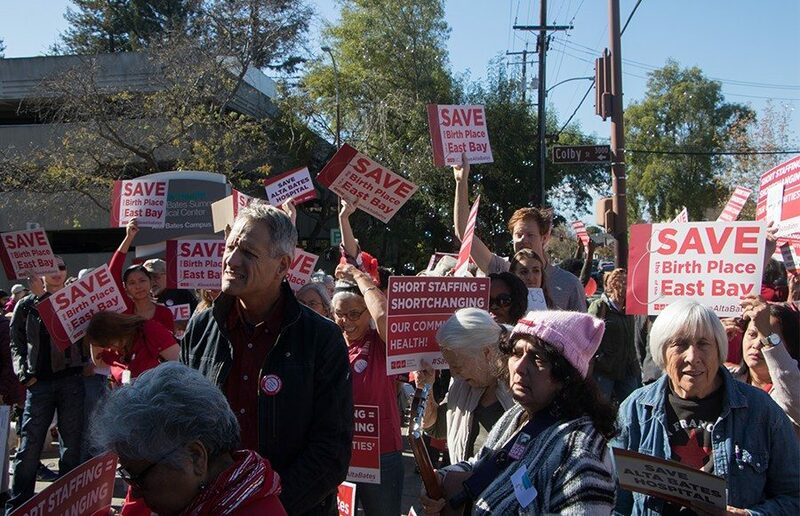 More than 350 community members joined the California Nurses Association, or CNA, late Saturday morning to oppose the proposed closure of Alta Bates Medical Center in Berkeley. The CNA hosted the event to protest the planned closure of the hospital, which could occur as early as 2019. Attendees gathered at the Ed Roberts Campus near Ashby BART station to listen to an array of speakers including State Sen. Nancy Skinner, D-Berkeley, and Mayor Jesse Arreguín, as well as nurses, doctors and private citizens. Speakers expressed concern over parent company Sutter Health’s proposed closing of medical facilities in Berkeley and highlighted the negative consequences that Alta Bates’ closure could present to community members. Skinner said the closing of Alta Bates would create a “hospital desert” in Berkeley. She criticized Sutter Health for using the state’s requirement for a seismic safety update — a measure to improve the building’s earthquake resilience — as an “excuse” for closing the hospital. Skinner promised to introduce another bill in the next legislative session that would attempt to more strictly regulate the closing of nonprofit hospitals. She introduced a similar bill in February 2017 that was vetoed by Gov. Jerry Brown in October 2017. Sutter Health’s proposed plan includes potentially closing Alta Bates Medical Center but maintaining an urgent care center in Berkeley and expanding facilities in its Oakland location by 2030. 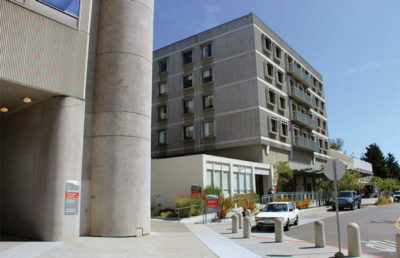 Alta Bates staff nurse Thorild Urdal said Sutter Health’s proposal to keep an urgent care center at Alta Bates’ current location does not replace the advantages of having a full-service hospital near the UC Berkeley campus. A visit to an urgent care center amounts to no more than a “glorified doctor’s appointment,” Urdal said. Berkeley Fire Chief David Brannigan discussed the consequences Alta Bates’ closure could have on Berkeley Fire Department’s response time to emergency calls in Berkeley. Brannigan said because BFD is legally obligated to bring all patients to an emergency room of a full-service hospital, Alta Bates’ closure would require patients to be rerouted to Summit Medical Center in Oakland. The subsequent drive would add about 12 minutes in response time to any call, according to Brannigan. Berkeley community health commissioner Andy Katz said the proposed “regionalization of healthcare” is bad for community health. He added that the increased travel distance to Oakland could cause a 7 percent increase in mortality. ASUC Senator Nuha Khalfay, who also spoke at the panel, said Alta Bates is the only hospital close to the UC Berkeley campus that accepts Student Health Insurance Plan, or SHIP, and other insurance programs. Scheduling appointments between classes, having easy access to specialists and receiving quick treatment in the case of an emergency would become a greater challenge without a hospital close to campus, Khalfay said. “We need the full-services hospital here because students need to be able to access those services without paying to get to Oakland and without taking an hour out of their day to get to Oakland and an hour to come back,” Khalfay said.